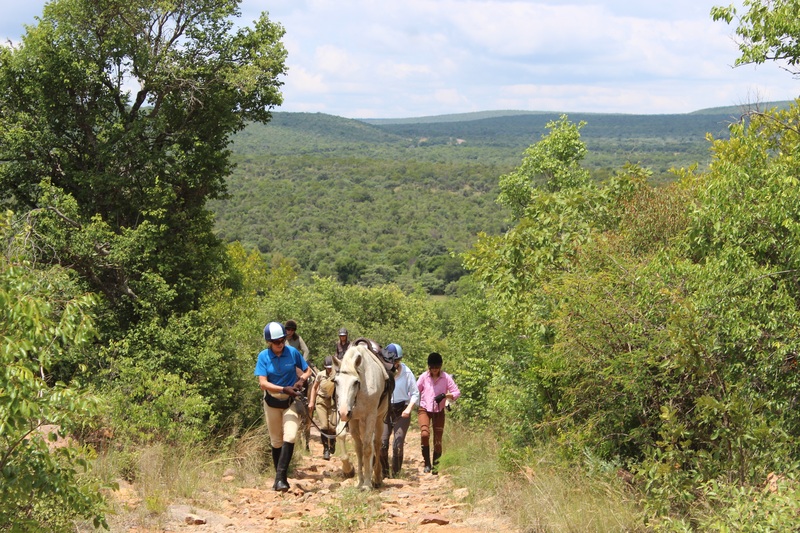 Following the success of our rides over the last three years, we now have a good plan for a sponsored challenge ride across the Waterberg. 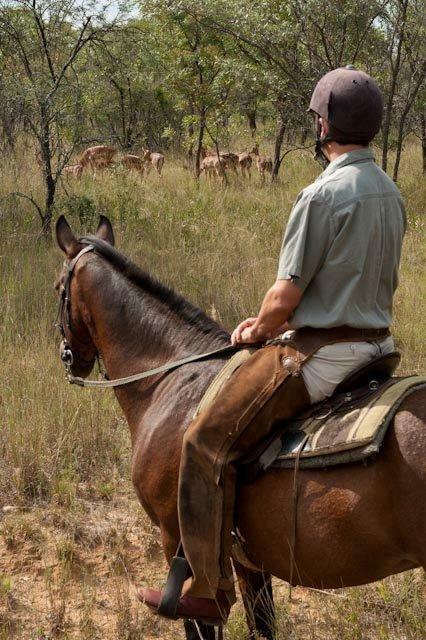 DAY 1 – Riders will be met off an early flight arrving at Oliver Tambo Airport, Johannesburg and driven north, about 3 hours, to Ant’s Nest Private Game Reserve deep in the Africa bush. Lunch will be served on arrival. 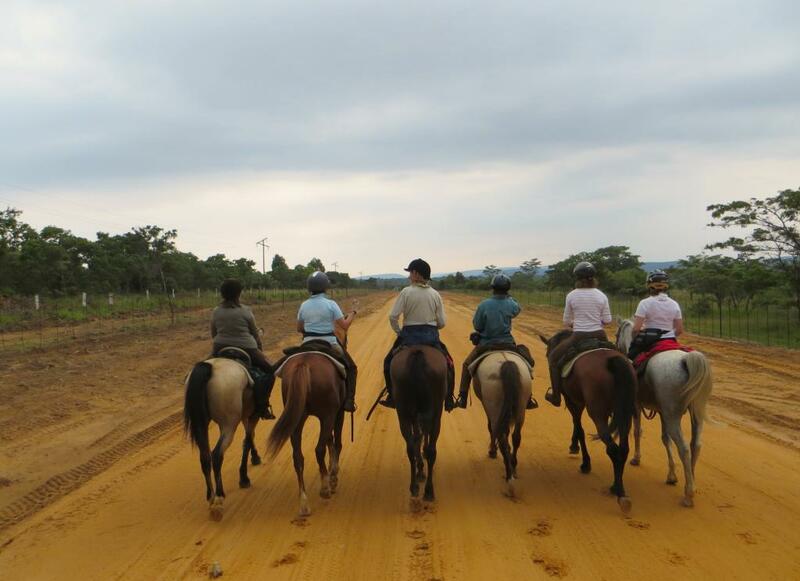 After settling into the lodge we will go for a game ride so that riders can try out the horses. – there are about forty to chose from. 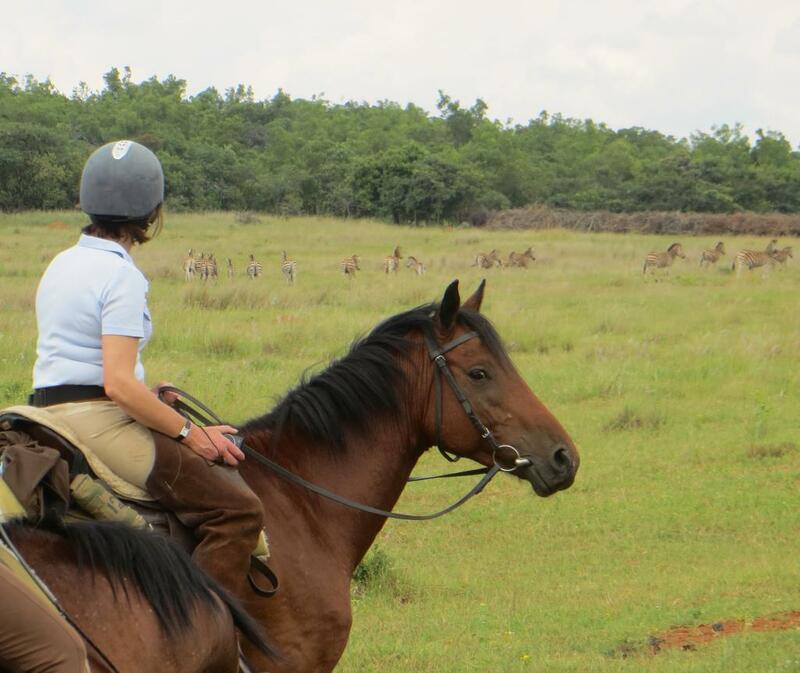 Anyone not wishing to ride can go on a game drive in search of wildlife. 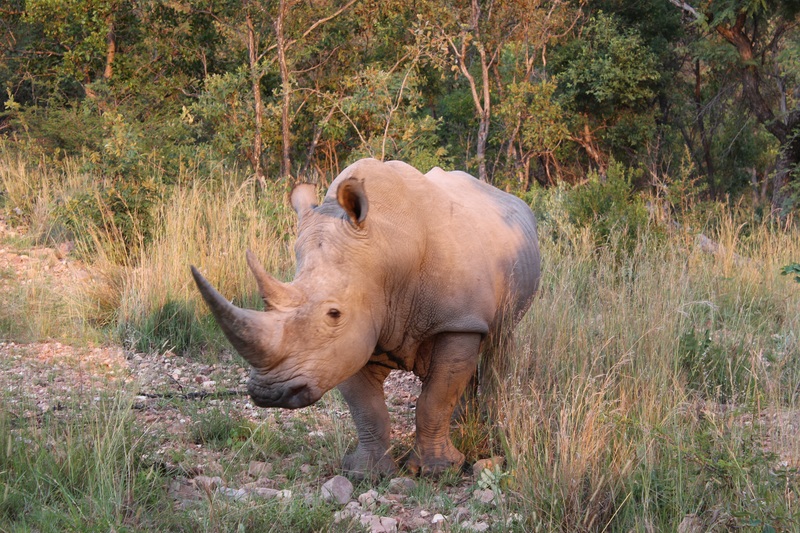 The Waterberg is home to the second largest population of rhino in south Africa after the Kruger Park, so their protection on the plateau is vital. 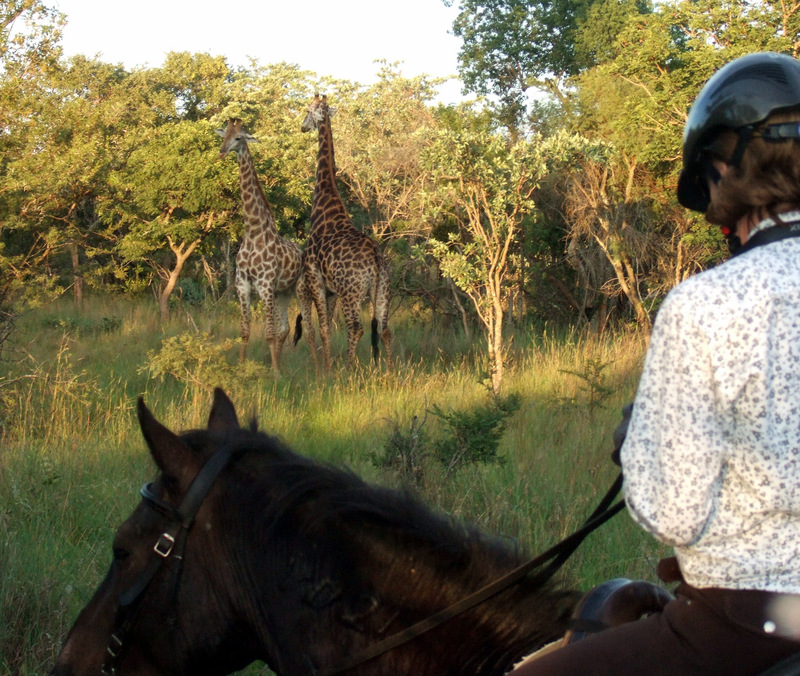 DAY 2 – We will spend the day riding across Ant’s Nest, up to Ant’s Hill, viewing game on horseback and looking for a breeding herd of white rhino, along with buffalo, zebra, giraffe, wildebeest and antelope. 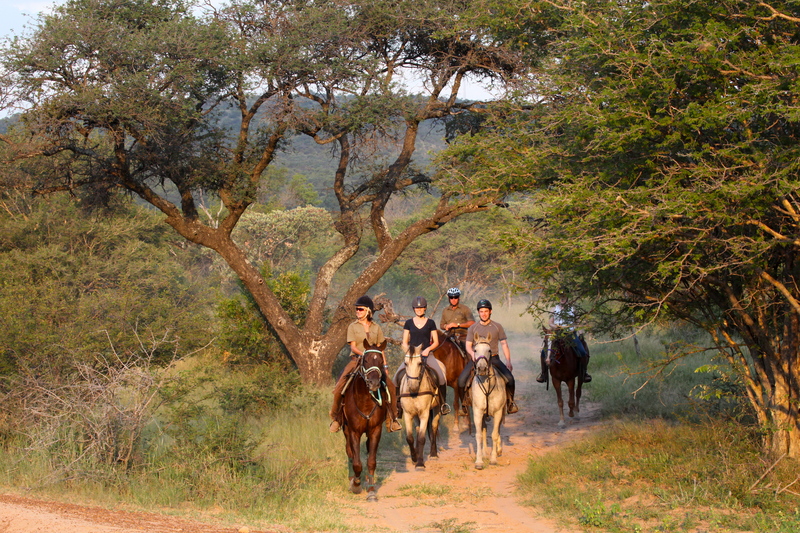 Any non-riders will have the option of taking game drive or walk or using one of the mountain bikes to see the reserve. 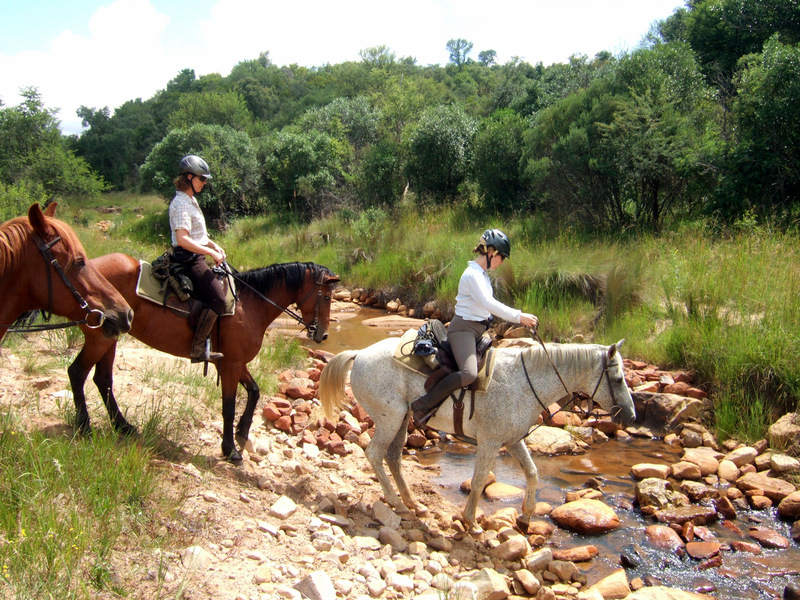 We will meet up for lunch in the bush, hopefully by a dam where riders can swim with their horse. We’ll ride back to Ant’s Nest for the night. 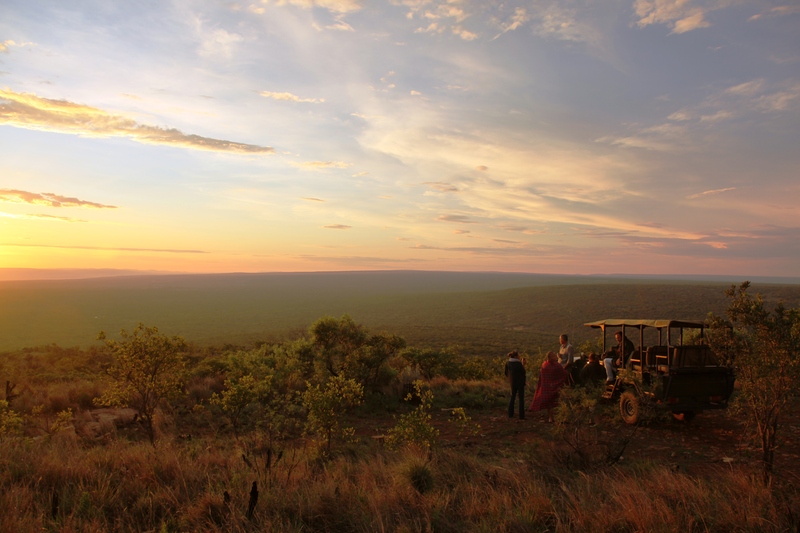 As the sun goes down, we will meet the white rhino living on the reserve, while Tessa Baber gives us a talk on the work of ‘Save the Waterberg Rhino’. 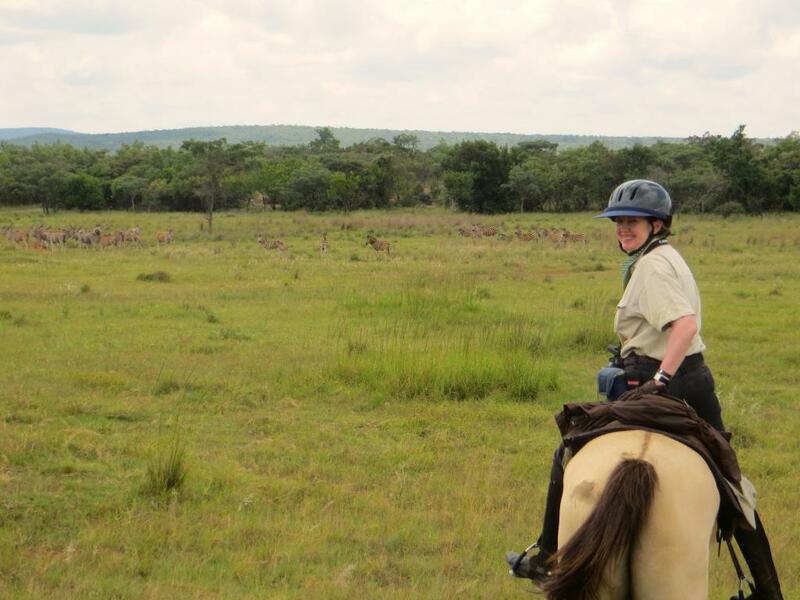 DAY 3 – We set off early, riding north through the reserve looking for antelope and along sandy roads where we can canter for miles over the hills on our way to Kwalata Game Reserve. Non-riders could spend the morning fishing or cycling. 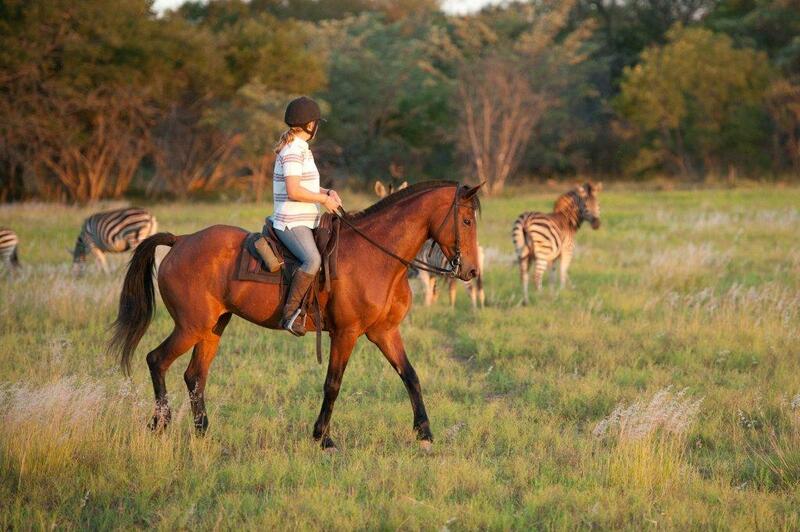 The horses will be stabled on the property while we take a game drive to the lodge where we are staying the night. 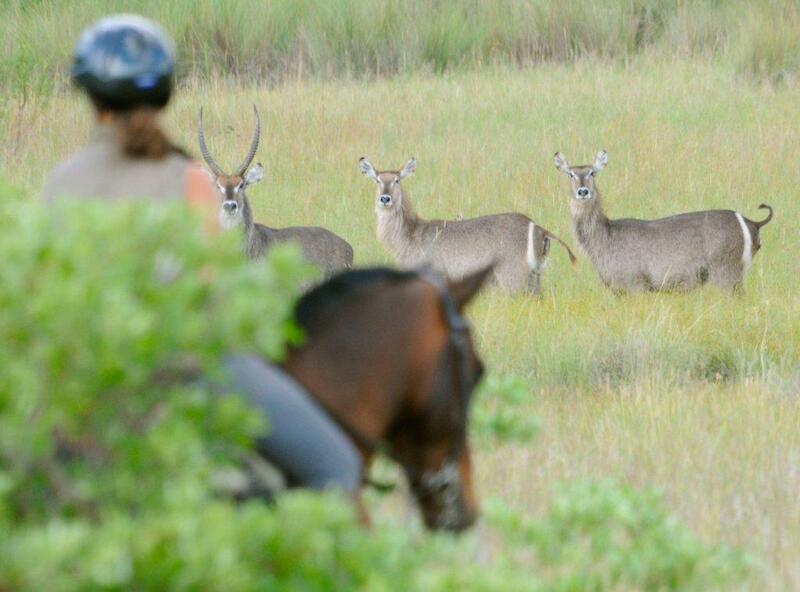 DAY 4 – We ride into Lapalala Wilderness, which will give us another amazing opportunity to see game. 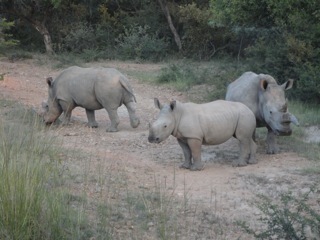 We have the chance of seeing white and black rhino along with other species such as vervet monkey, baboon and even lion. 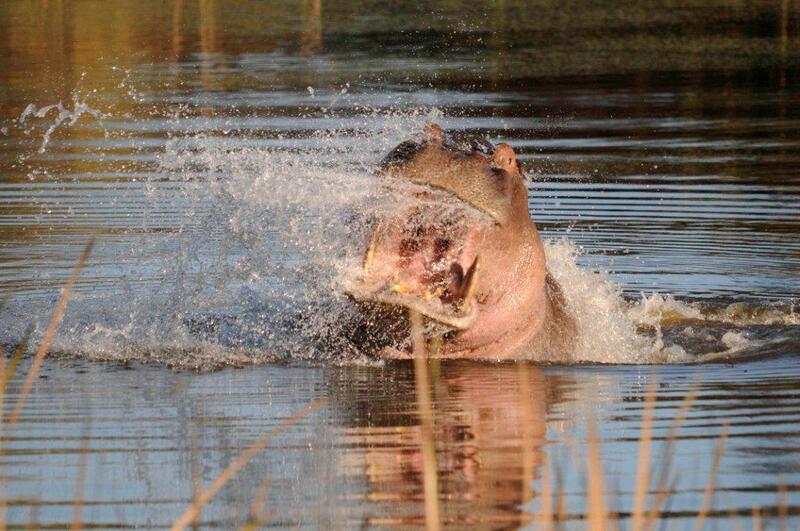 Lunch will be enjoyed at a dam with the hope of spotting hippo, afterwhich we will ride further through this vast game reserve. The night will be spent at Kolobe Lodge where the leaders of South Africa have stayed and hope to be given a talk on the wilderness school and community projects. 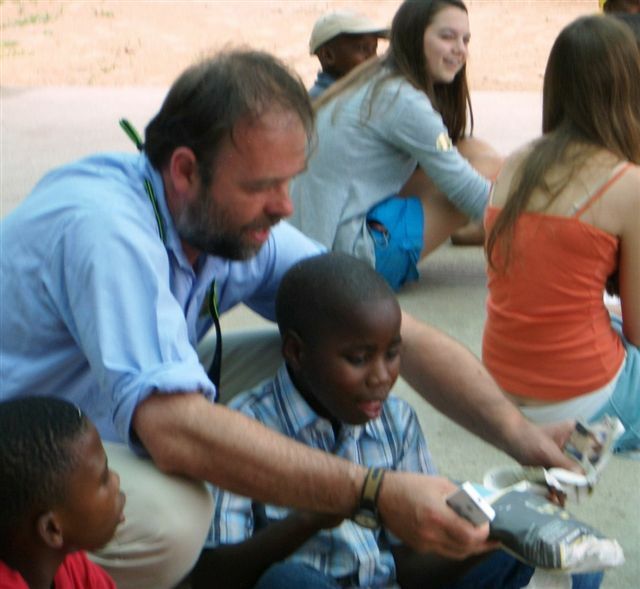 DAY 5 – Wednesday 16th March – Lapalala hosts the Wilderness School, which assists with giving environmental education for up to 2000 under privileged children a year. We are hoping to fit in a visit this morning. 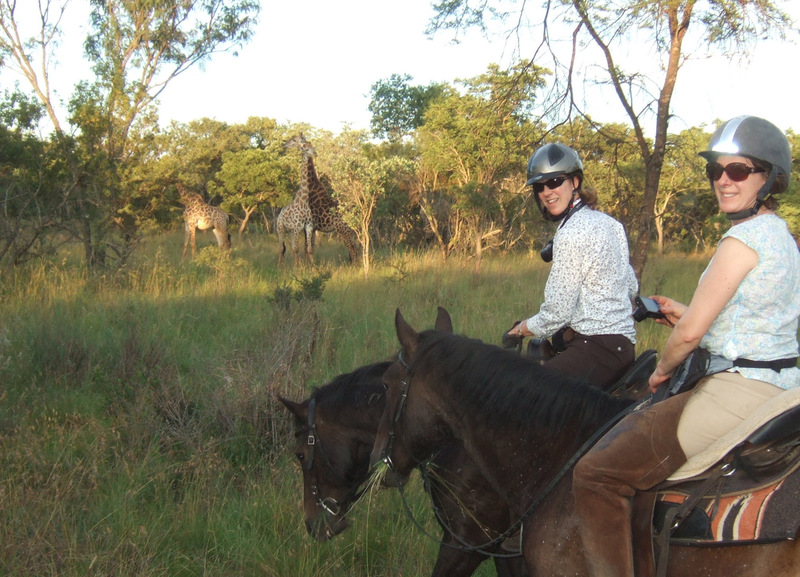 We mount our horses and ride to Jembisa, a private game reserve on the Palala River where we hope to find hippo, crocodile and more plains game including giraffe, jackal, warthog and red heartebeest. 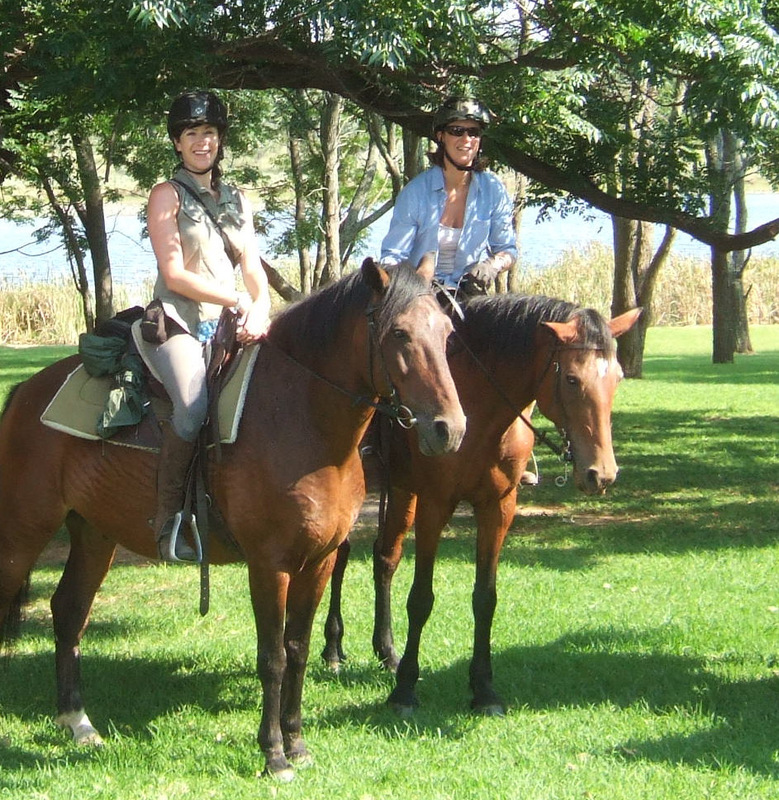 DAY 6 – We’ll ride across Jembisa hoping to find hippos and perhaps see crocodile in the river before meeting with any non-riders at the furthest point of the ride and grabbing a few photographs before bidding our horses farewell. There will then be time for a swim or a long hot bath before dinner at the lodge. 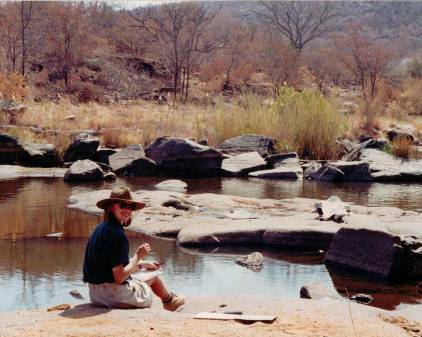 DAY 7 – After breakfast outside we will take a game drive to see the ancient bushmen paintings on the reserve before lunch and drive back via an excellent sewing project selling curios en route to the airport. The cost is per person, sharing. 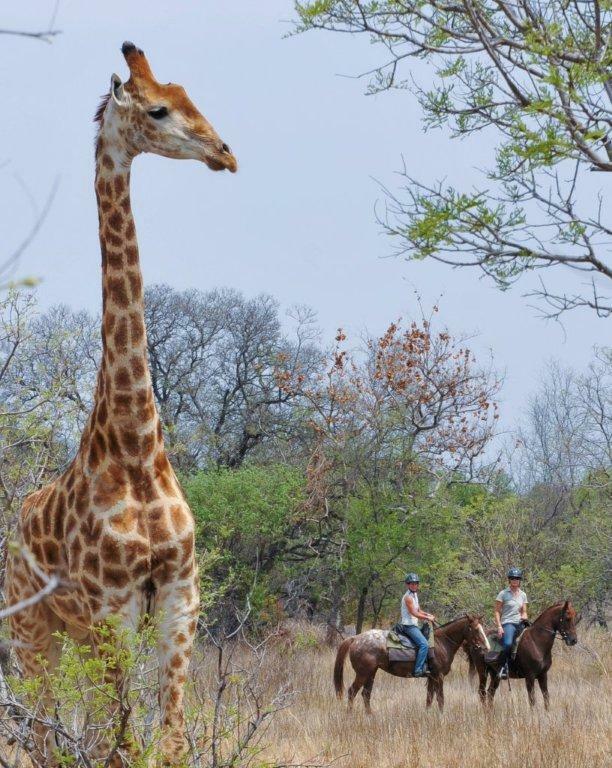 This includes of all meals, local alcohol and soft drinks, accommodation, riding, game drives and bush walks, as well as road transfers to and from standard flights landing by 9.00am on morning of Saturday 12th March and returning pm on the last day. It does not include flights, tips or travel insurance – Ant’s Nest will require a non-returnable deposit. The balance must have been paid 6 weeks before the trip commences. We can highly recommend coming out a couple of days earlier and staying on for one or two nights. We are happy to assist with booking this. Additional transfers will be charged if not coming in and out on the scheduled transfer. 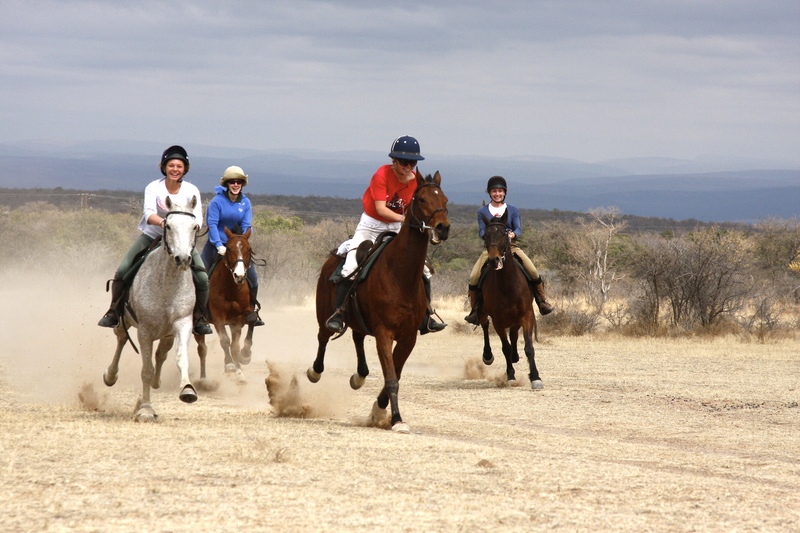 Riders need to be fit as there will be 25–42km’s of riding per day. 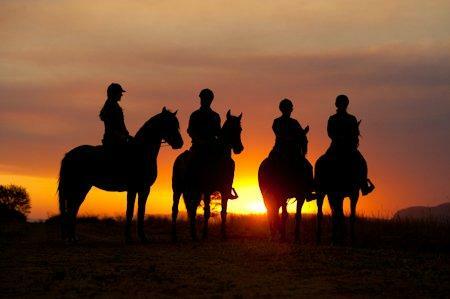 You must be someone who rides at least twice a week, be comfortable at an extended canter and be able to cope with long hours in the saddle. 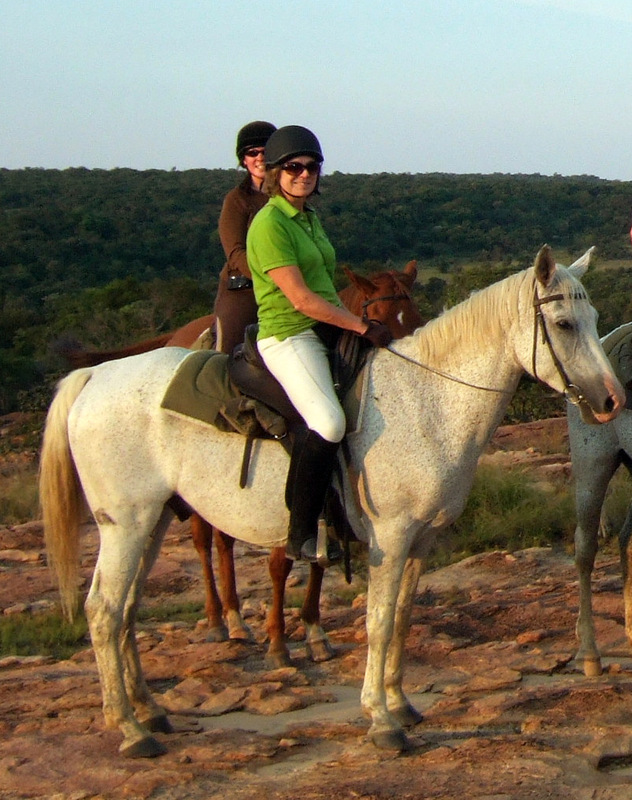 We can take non-riding partners who will be able to enjoy guided walks, game drives, mountain biking, swimming, fishing and exploring the area which is rich in iron-age sites. 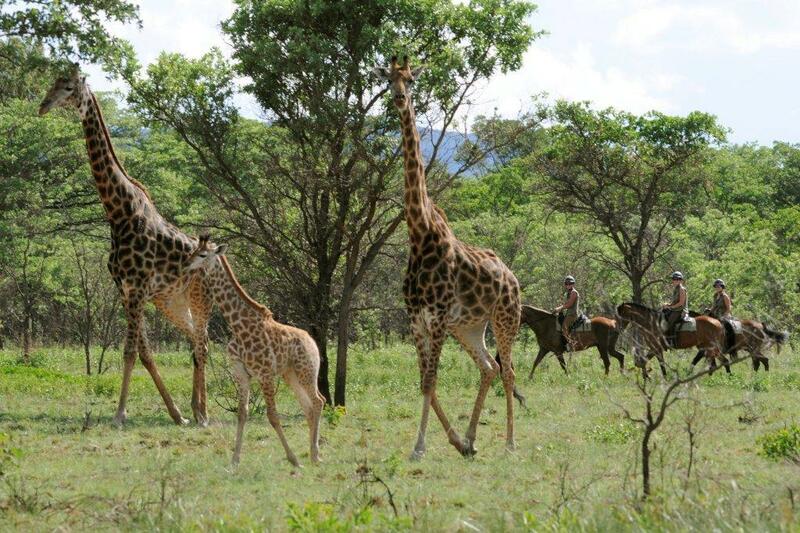 It will be high summer in South Africa, so the bushveldt will be green. It can be hot and sunny and could be overcast or rainy but will not get cold. 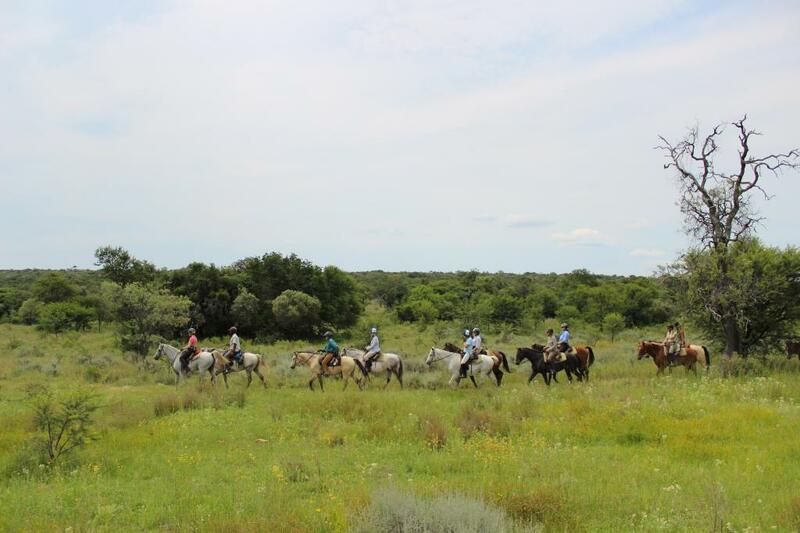 This is an exploratory venture, indeed a unique opportunity to ride alongside wild animals in this beautiful area, now proclaimed a UNESCO biosphere. 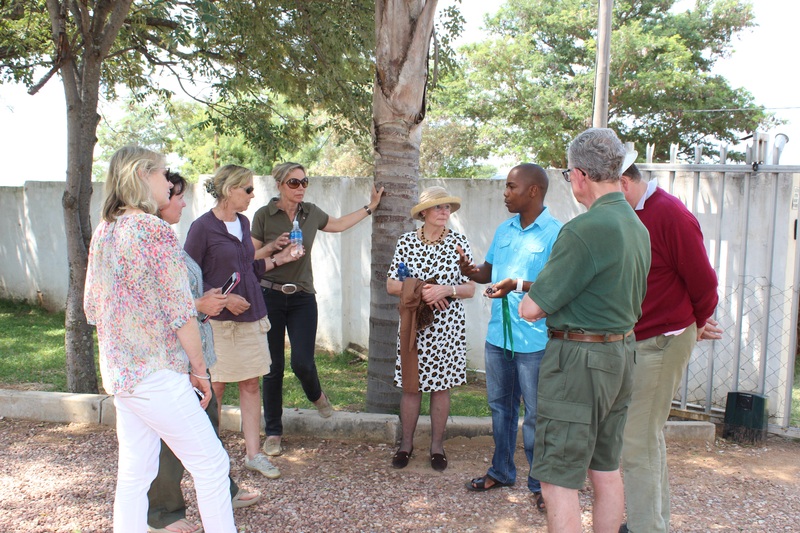 The group will be led by Ant Baber who owns Ant’s Nest and Sophie Neville, who became a horse safari guide in the Waterberg back in 1992, and is now a trustee of TWT. 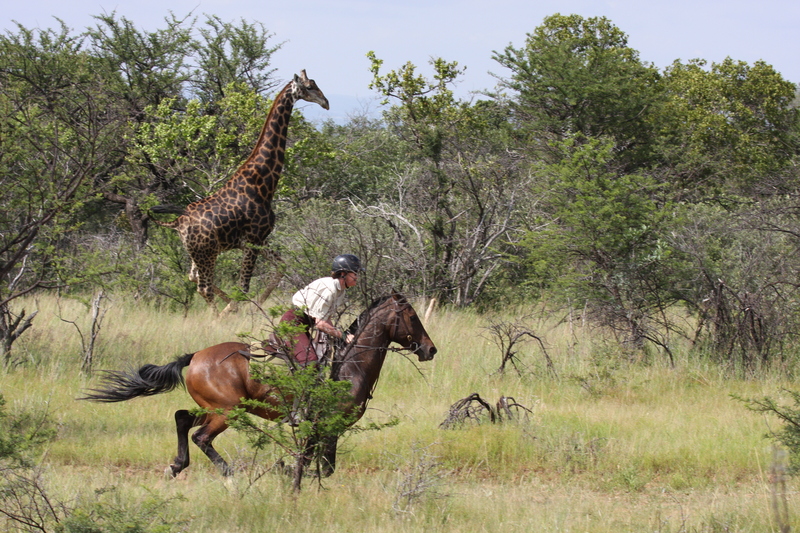 To participate riders need to raise a minimum sponsorship of £1,000 for The Waterberg Trust. As a registered UK charity, Gift Aid can then be added. 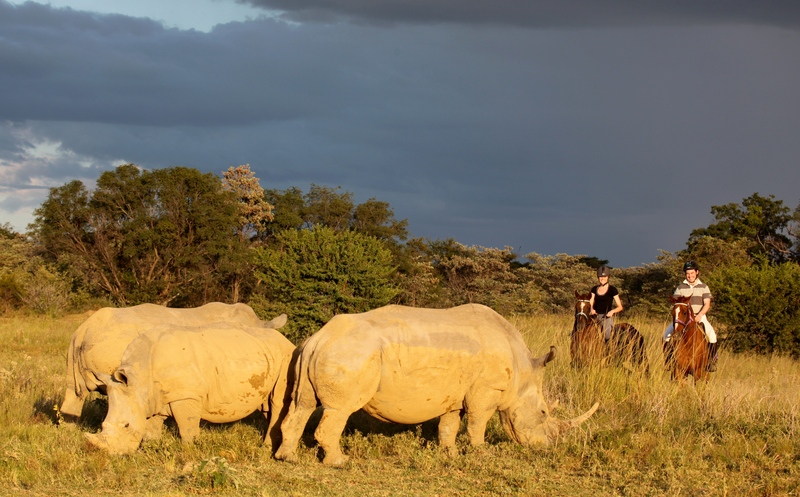 50% of sponsorship raised will go to Save the Waterberg Rhino Trust and 50% will go to community projects in the Waterberg. 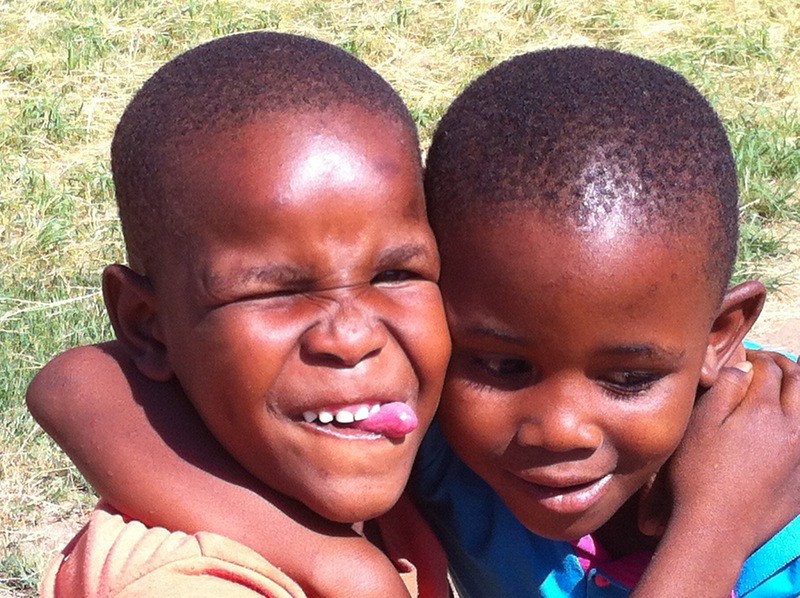 Would you help us raise funds? We can help you with ideas. While we encourage riders to find sponsorship some of us are raising the donation of £1,000 in other ways such as hosting a sale, or asking for donations instead of birthday gifts and then gaining matched funding. Flights and Transfers: We find it is best if people book their own flights to Johannesburg – try Trailfinders or Flight Centre. It’s great if riders can liaise and fly out together. Make your way to the information desk in the arrivals hall where you will be met and driven to Ant’s Nest for lunch. 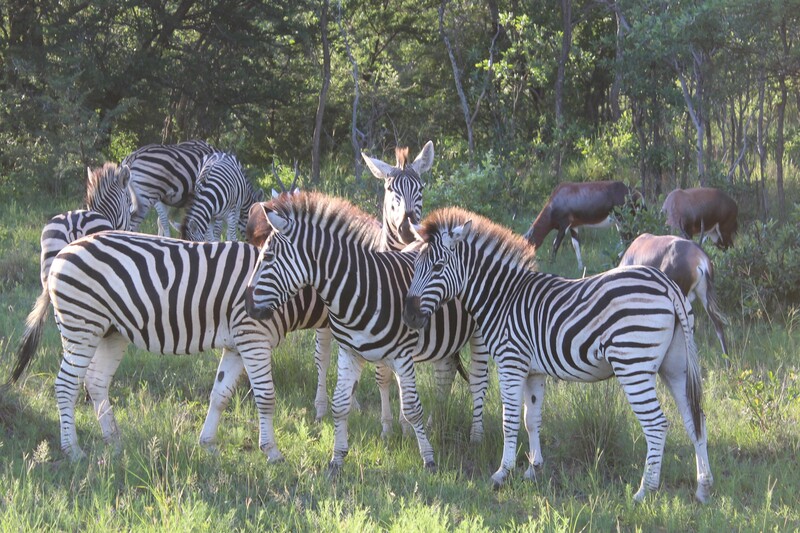 At the end of the safari we will arrive at Johannesburg airport at a time suitable for all flights departing after 7 pm. Are riding helmets compulsory? Yes, hard hats are mandatory and you will not be able to ride without one and suggest you bring your own hot-weather model. We do not provide half-chaps but do have some available for purchase. Is there a laundry service? 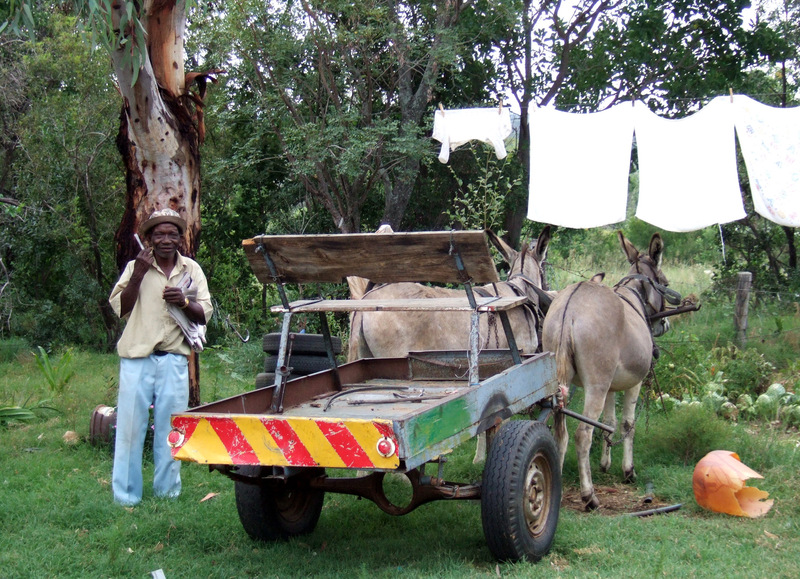 We hope to be able to offer a limited laundry service. When packing do bear this in mind as it helps not to have too much luggage. We can normally turn laundry around within 48 hours (excluding the 30 or so days a year that it rains!) 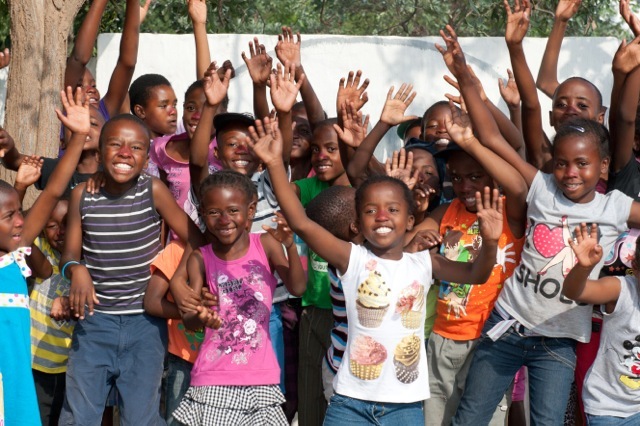 Do bring out any children’s clothes, especially grey/black/white school uniform or sports wear as we can donate it to one of the schools or welfare projects in the Waterberg. What is the accommodation like? 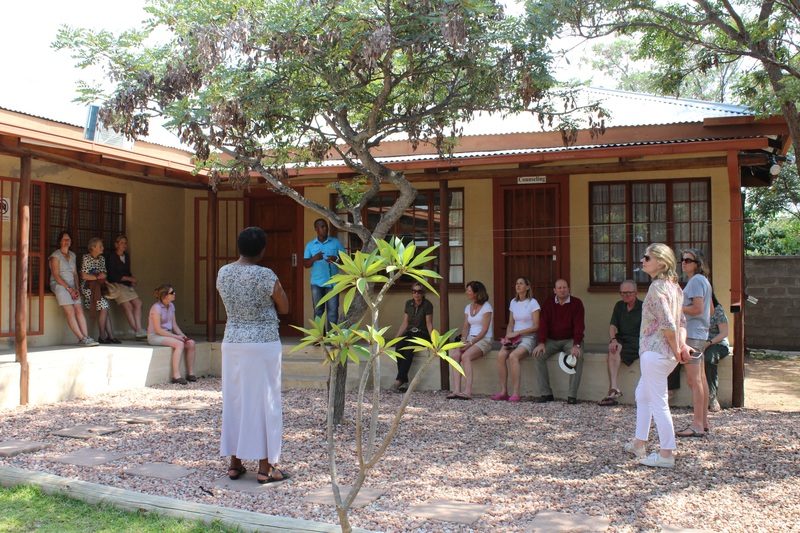 Ant’s Nest and Jembisa offer comfortable lodge accommodation with ensuite bathrooms. 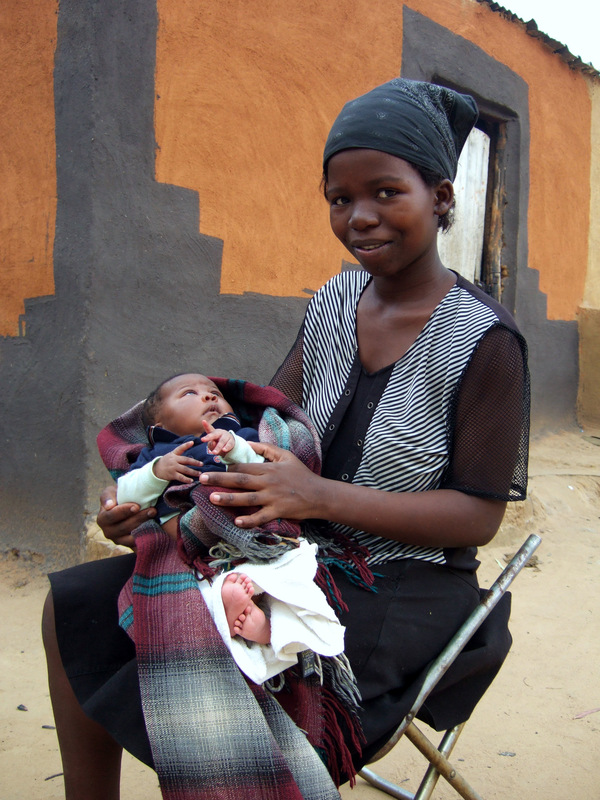 Kolobe and Kwalata are simpler and some may have to share bathrooms. We will have picnic lunches, evening meals cooked around the fire and hope to sleep out under the stars on one night, weather permitting. What are the horses like? 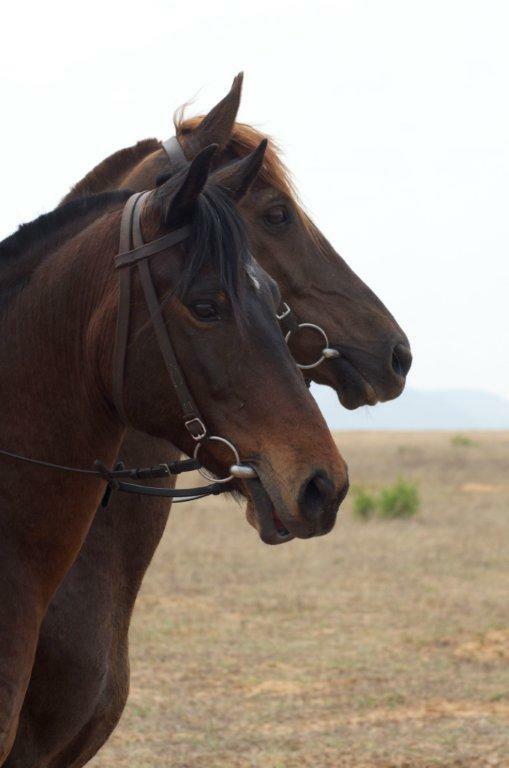 They have been carefully chosen from various South African breeds, known for being able to walk-out well while being able to cope with tough going. 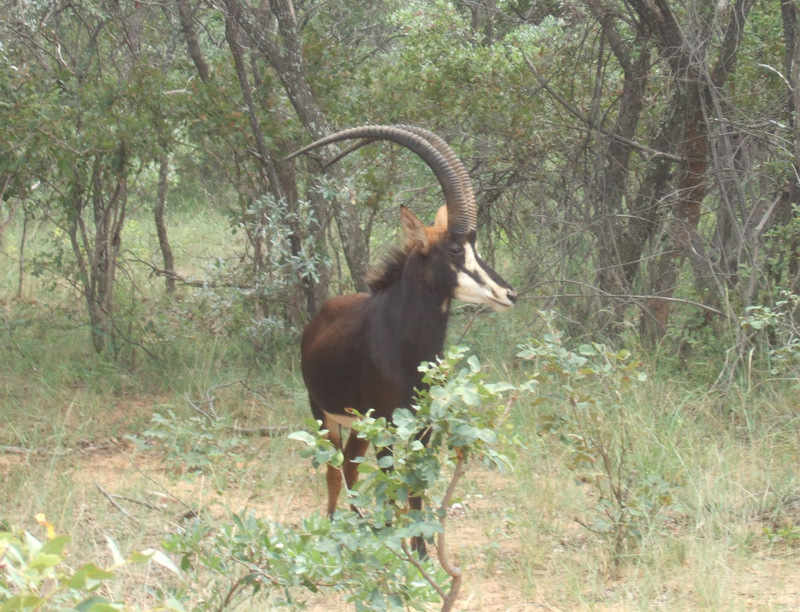 the live in the bush so are familiar with wildlife. 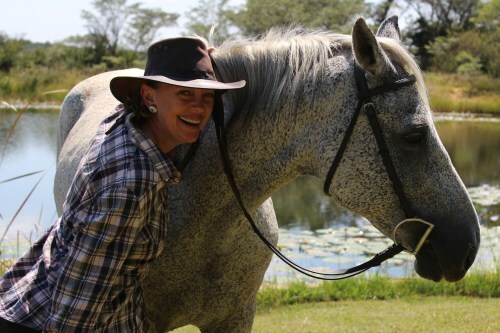 Breeds include Friesan-cross, Boerperds, Anglo-Thoroughbreds, and the S.A. Warmblood. They range in size from 14.3h. to 17h. 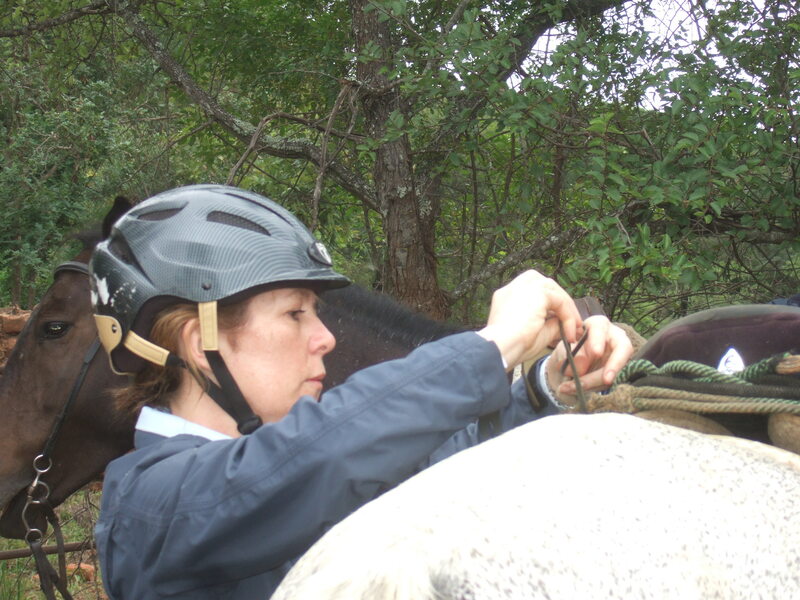 Tack is McClellan long-distance saddles and usually snaffle bridles. Do cell phones work? Will be riding in areas of no coverage but take radio communication at all times for emergencies. Money: We suggest you don’t change too much money – however there is a craft shop at Ant’s Nest that takes credit cards. Gratuities are at your discretion and can be paid in pounds, euros or dollars. 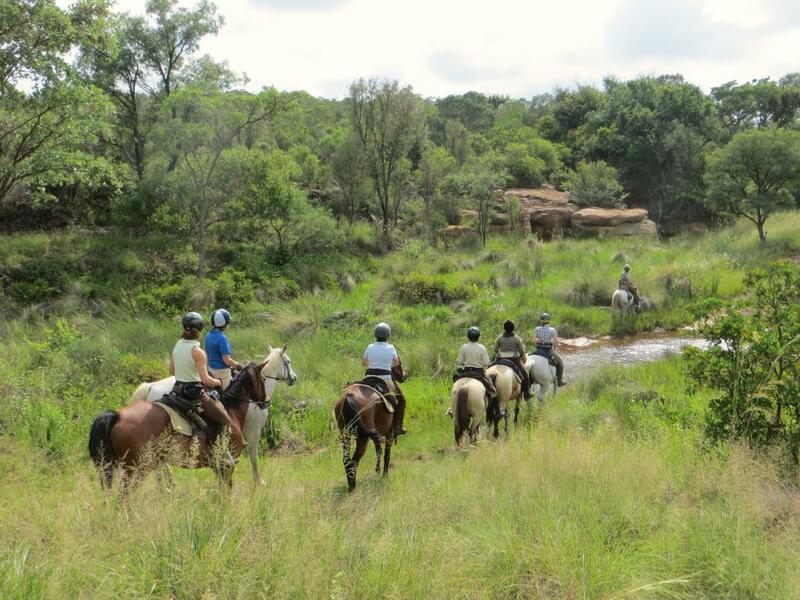 Thanks to our dedicated group of riders and their donors, the Waterberg Charity Ride 2015 raised more money in sponsorship than ever imagined. 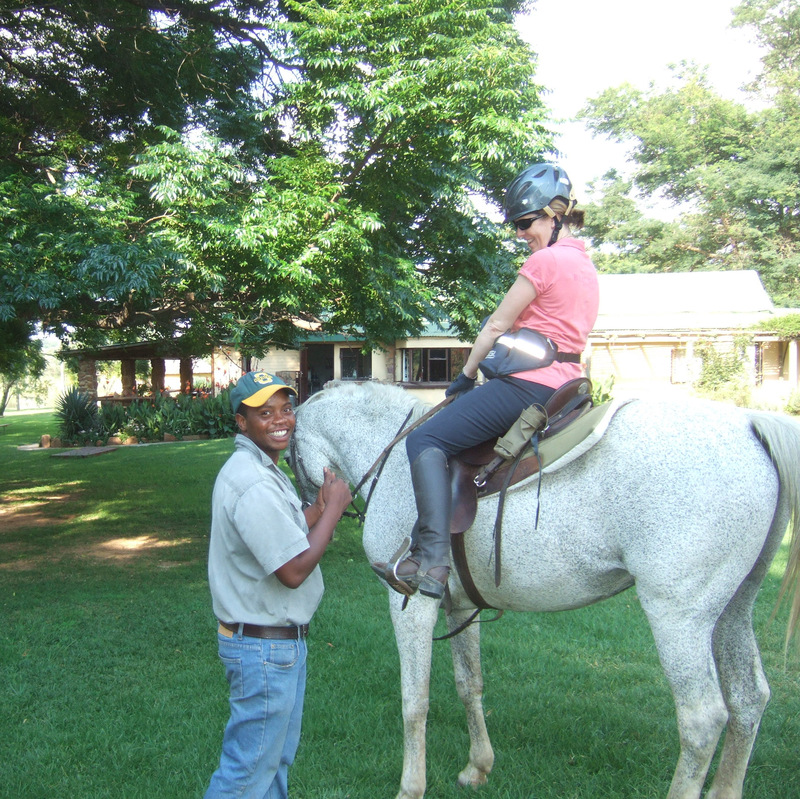 The ride finished on 31st January 2015. By mid-March we thought a total of £16,000 had come in. This far exceeded the original £1,000 that each rider had been challenged to find, on top of paying for their own flights, travel insurance and the cost of their food, accommodation, transfers and horses. However thanks to press coverage and huge generosity from supporters, cheques and Justgiving.com donations have kept coming in. One rider raised funds by selling some of her shoes, another, who lives in deepest darkest Herefordshire asked her friends to help her to sell home-grown mistletoe for Christmas decorations. 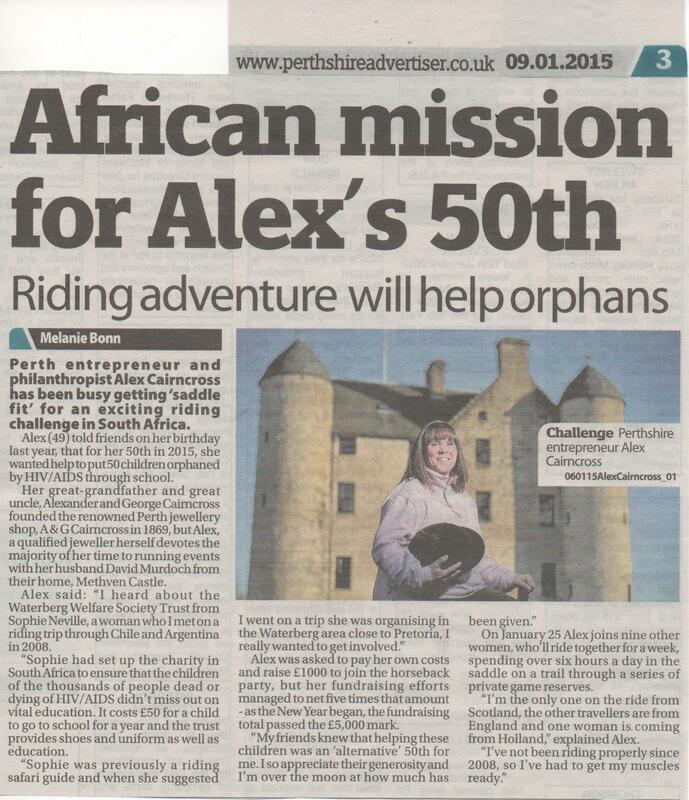 A rider from Perthshire in Scotland threw a party and asked for sponsorship instead of gifts for her 50th Birthday. 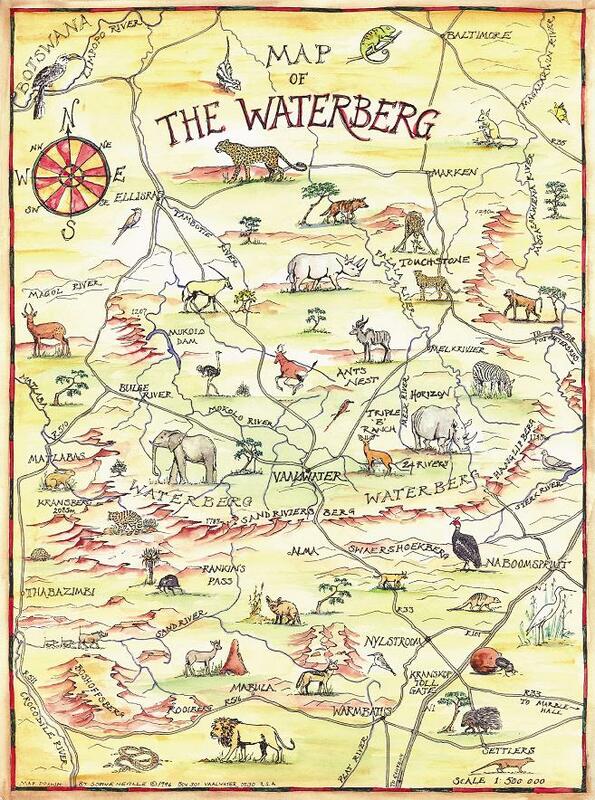 Together with some matched funding and the Gift Aid now recovered we are able to send £22,784 to help people of the Waterberg. Of this sum £10,000 is allocated for the education of children in need and £12,784 for training auxiliary nurses, in line with the requests received from the donors themselves. 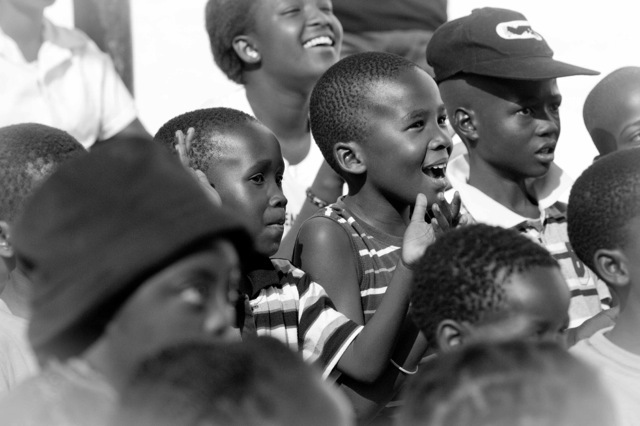 If more money comes in, we will forward it to South Africa where it really will transform lives. Our Justgiving.com page is still open! It is a huge amount, received with enormous gratitude. The riders were all so enthusiastic and all gave so much of themselves. A sponsored ride demands a great deal. 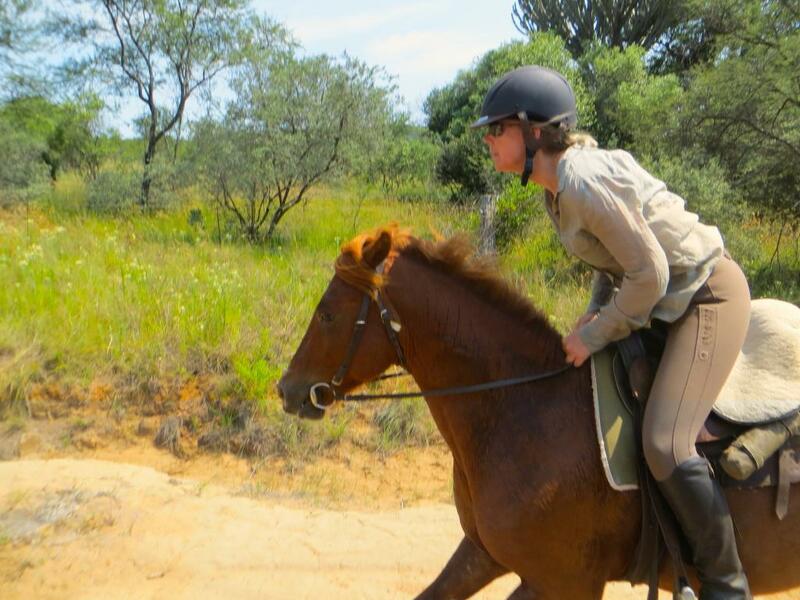 The effort involved isn’t immediately apparent as it ranges from getting fit to organising fund-raising activities while making arrangements for animals and families to be looked after in the rider’s absence. It wasn’t quite the same as going on holiday! Torrential rain at the end of the ride! 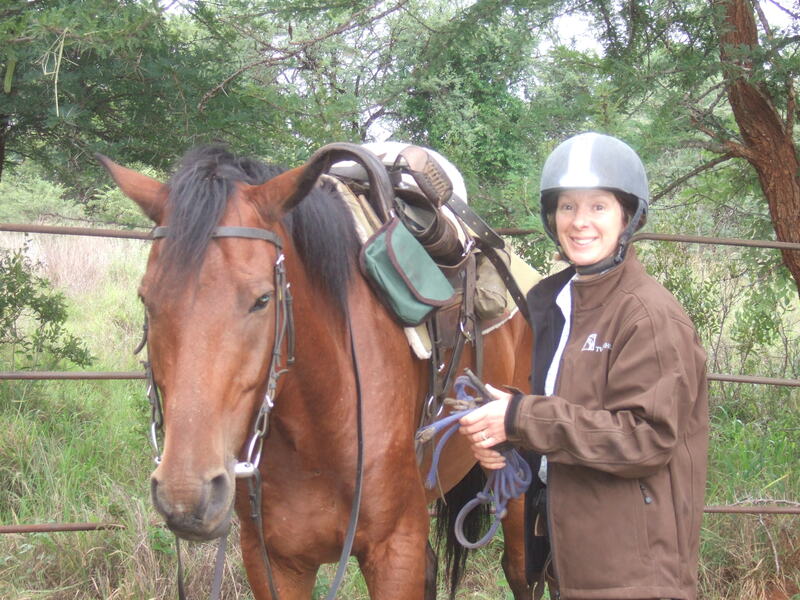 The organisers of the Waterberg Charity Ride would like to extend their grateful thanks to all those who supported the challenge in the Waterberg, especially Laura Dowinton, the directors, guides, drivers and staff at Horizon Horseback Adventures who hosted the ride. 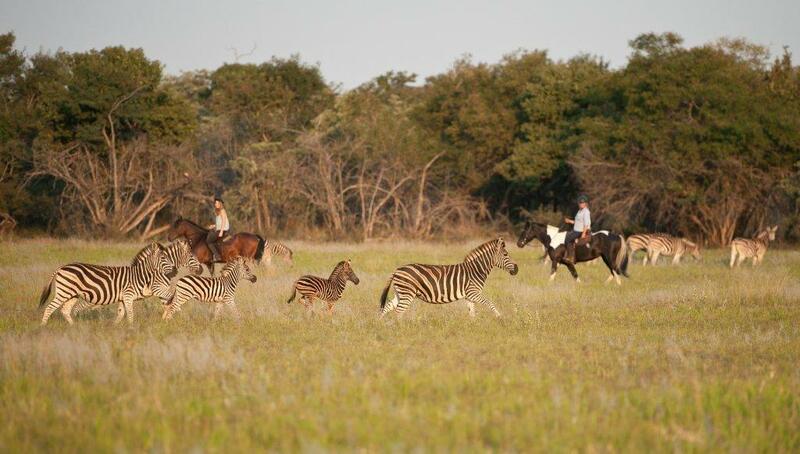 We owe thanks to David Baber for allowing us to traverse Summer Place Farm and Koshari Game Reserve who put the riders up for the first two nights, amazing us with the sight of a debra – a cross between a donkey and zebra. 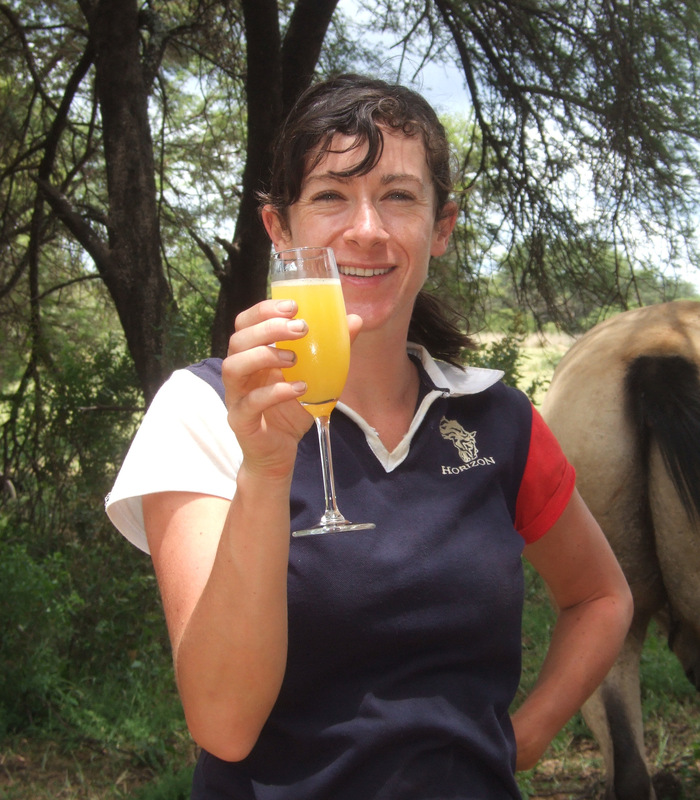 The riders were not only guided through Ant’s Nest and Ant’s Hill Game Reserves, where they learnt about wildlife management, but were treated to a drinks party where they met an orphaned rhino and his friend before being driven off to find four more white rhino in the bush, which was very special. 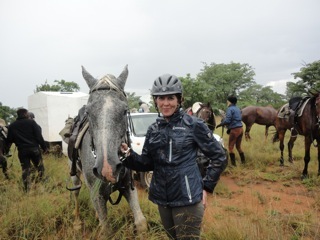 The group arrived at Lindani soaking wet from having ridden through a rain storm and were grateful for comfortable beds and hot showers. 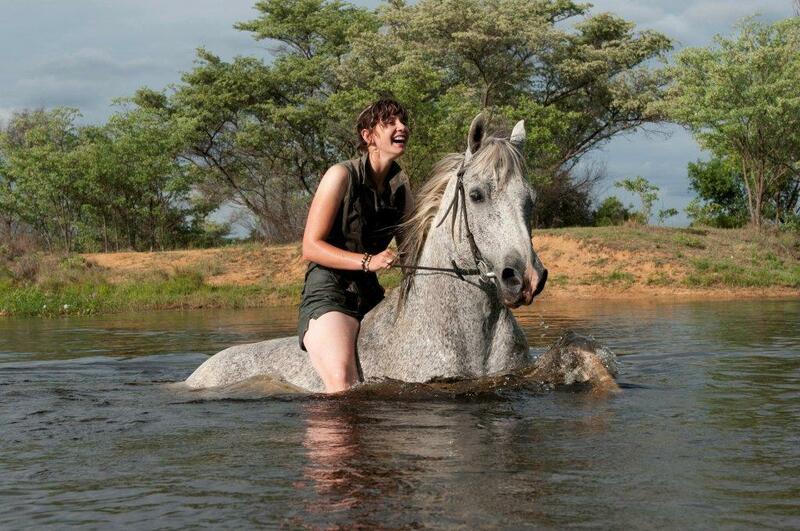 Refreshed by swims in the pool and the sight of great herds of game the next day, spirits were high by the time the riders reached Jembisa, a private game reserve on the Palala River. After a tough climb up the escapement they were greeted by a well deserved lunch. 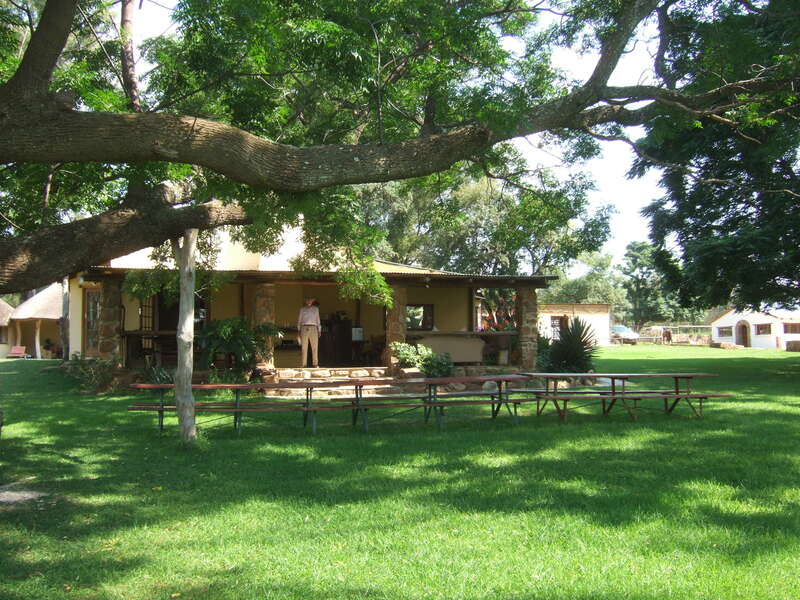 After spending a night at Kingfisher Cottage where they watched hippo wallowing in the river, the riders pressed on to the most northerly point on the property and were truly grateful for the hospitality extended to them by everyone who looked after them at Jembisa Bush Home at the end of the ride. 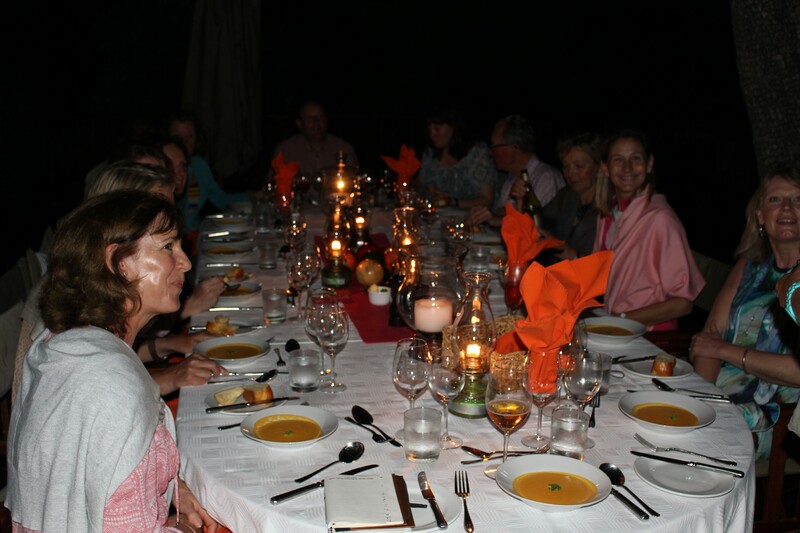 The lodge staff at Jembisa put on a special celebratory dinner under the stars, relished by the hungry riders. 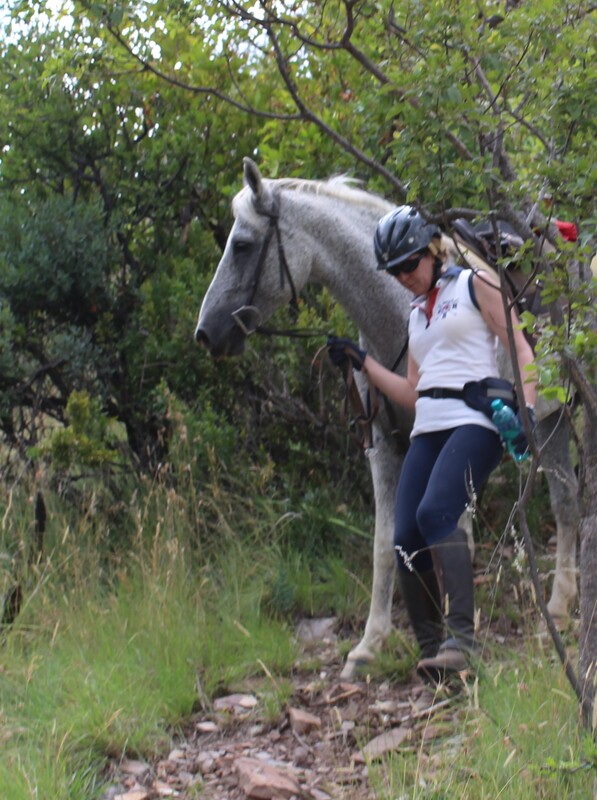 We worked out that they had covered approximately 200km on their exploratory journey across the Waterberg Plateau from the Melk River to the Palala River. 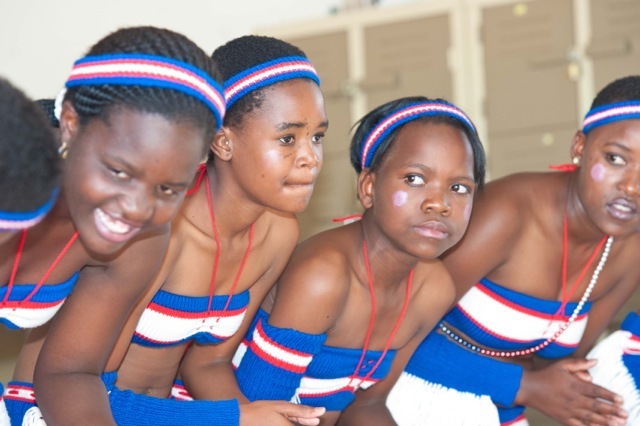 The group much enjoyed visiting the Waterberg Welfare Society hospice where they met nurses, staff inspiring to become nurses and a number of young people at Timothy House who entertained us with cultural dancing. The support and enthusiasm we were given has spurred us on to consider mounting other rides next year! Contact us via the Comments box if you’d like to come. 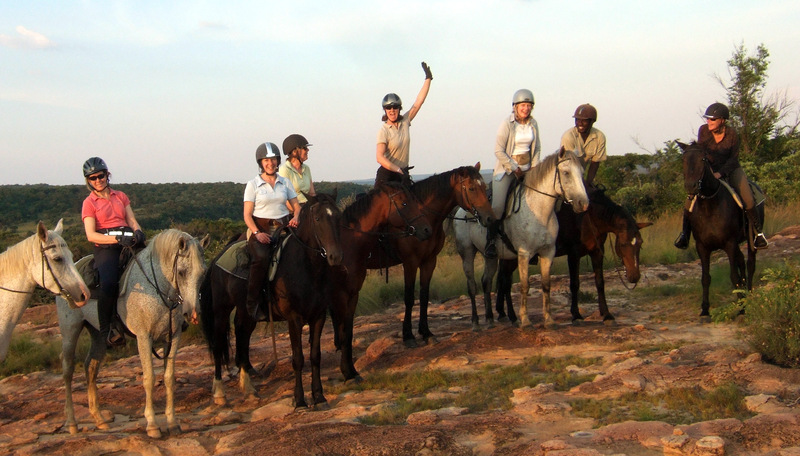 Ten riders from Scotland, Wales, England, Ireland and the Netherlands gathered at Horizon Horseback Safaris on 25th January 2015.
we set off over the hills, taking on the challenge to find a route across the Waterberg plateau on horseback. 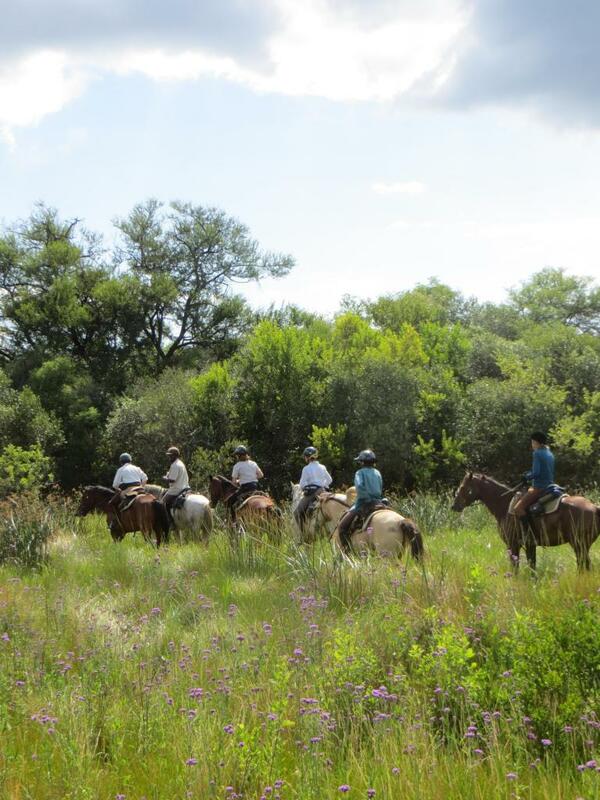 Our week in the saddle proved quite an adventure. 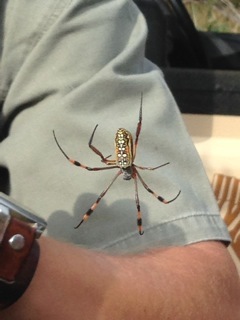 We had some wonderful game viewing. 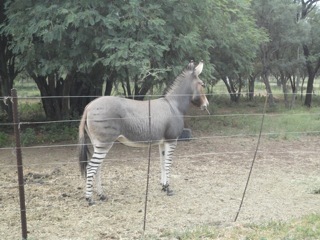 especially zebra used to grazing with the horses. and we crossed through territory new to the horses. 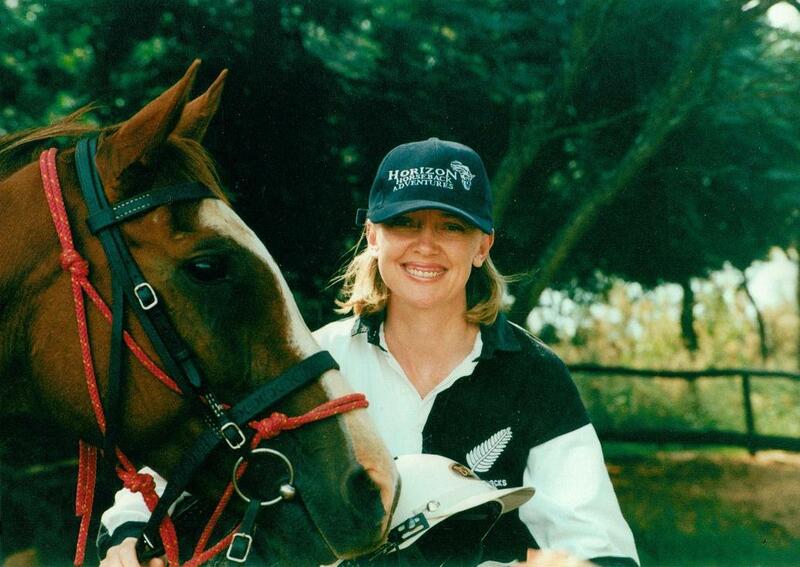 There were mornings when we cantered for miles, afternoons when we had to dismount to walk up stony hillsides – all be good for the inner thigh. We found ourselves going through very beautiful country. 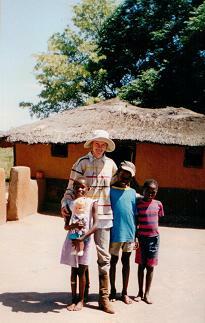 but it was high summer in South Africa and the bush was verdant. and plains where herds of wild animals were grazing was exciting. 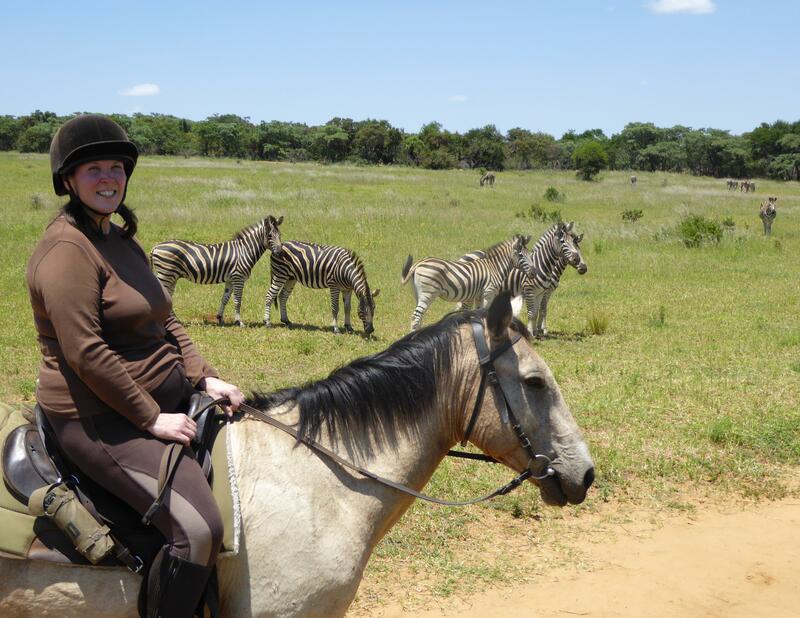 We rode with zebra, wildebeest, giraffe, warthog, jackal, red heartebeest, blesbok, impala, greater kudu, waterbuck, mountain reed buck, duiker, eland, oryx and saw nyala, sable, springbok, baboon, vervet monkey, slender mongoose, tree squirrel, ostrich, hippopotamus, rhinoceros, crocodile and even a debra – the hybrid foal of a zebra mare and donkey stallion. 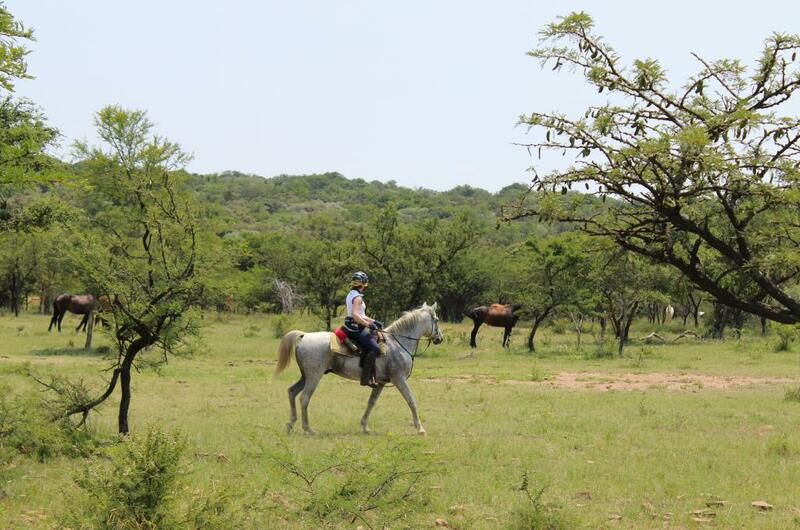 and we even came across other horses, grazing in the Africa bush. After six days on horseback we made it to the Palala River and could celebrate the fact that we had covered somewhere in the region of 200kms. Everyone agreed that it had been a great expedition accomplished by a wonderful team. and see around the hospice and Timothy House children’s centre. Very many thanks go to all those who sponsored the riders and supported such a good cause. Funds are still coming in but we hope to let you know the total raised soon and report on the details of projects we will be able to finance. The riders all paid their own expenses and brought generous donations, with gifts for the local children. 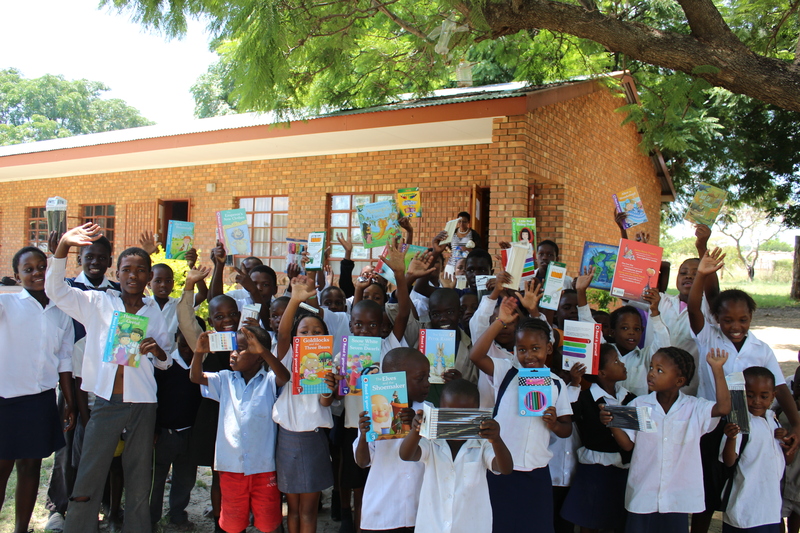 I was able to take beautiful books, stationary and clothing to the farm school where they were very much appreciated. If you would like to add a donation via our Justgiving page please click here. 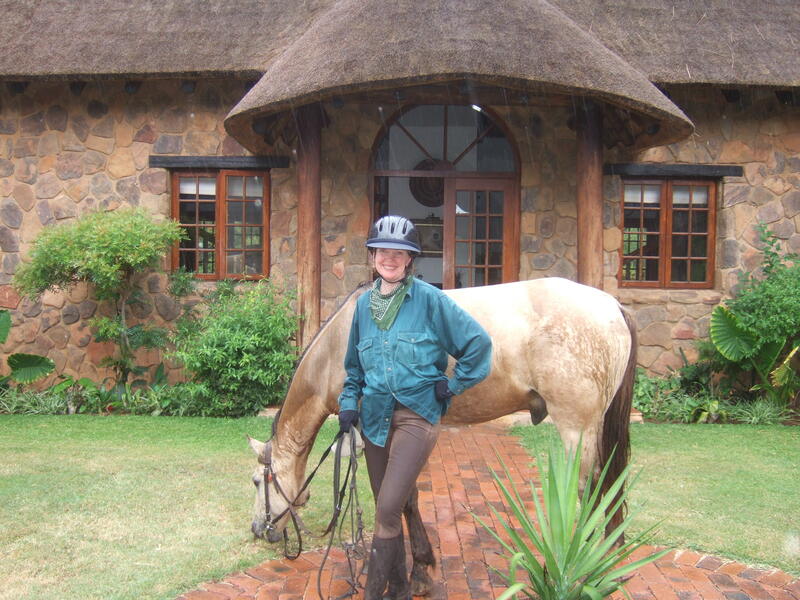 Grateful hanks also go to those who hosted us and looked after the riders so beautifully: Horizon Horseback Safaris, Koshari Game Reserve, Ant’s Nest and Ant’s Hill, Lindani Game Reserve and Jembisa, who treated us to dinner under the stars on our last night. 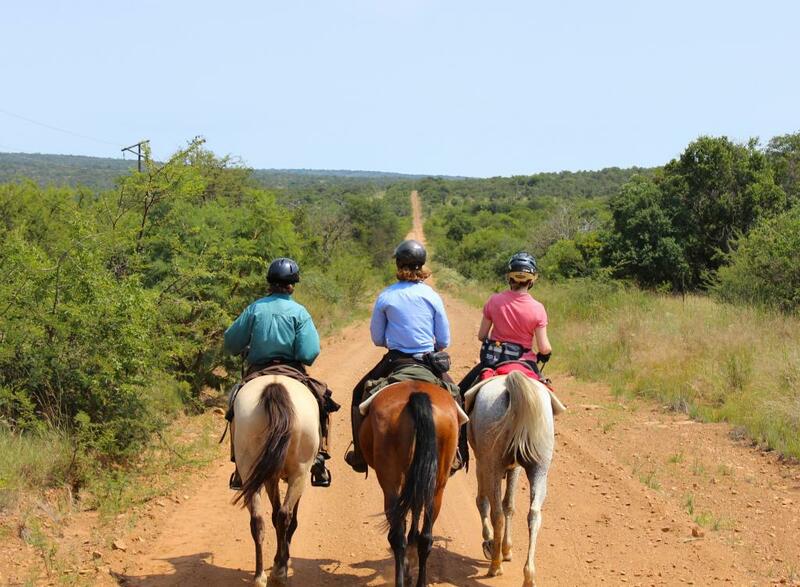 If you would like to join us on another Waterberg Charity Ride, please contact us using the Comments box below. 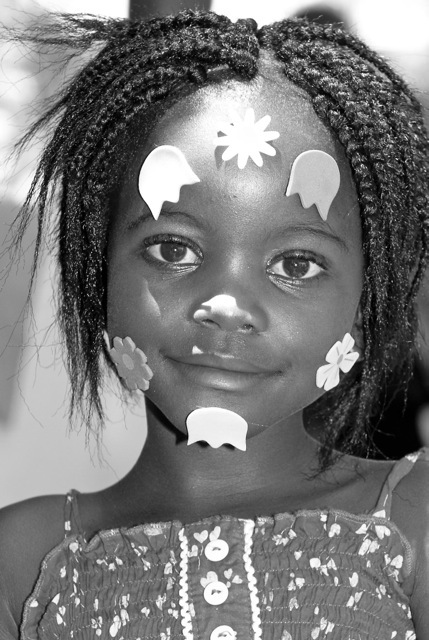 Could you give a slide show to raise funds for TWT? 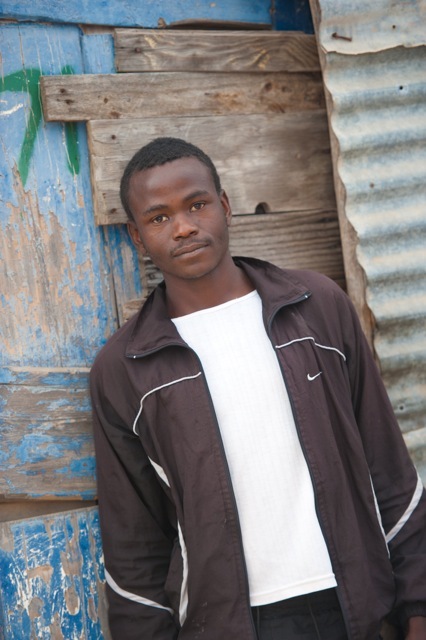 Could you use your photographs to give an illustrated talk at a club or church near you? It is good fun telling people about a journey you’ve been on or a project you’ve been involved with and Power Point Presentation programmes make illustrating your story easy. On Saturday 20th September ~ a UK supporter of WWST is hosting an evening with the combined yacht clubs of Cowes at the Royal London Yacht Club on the Isle of Wight. 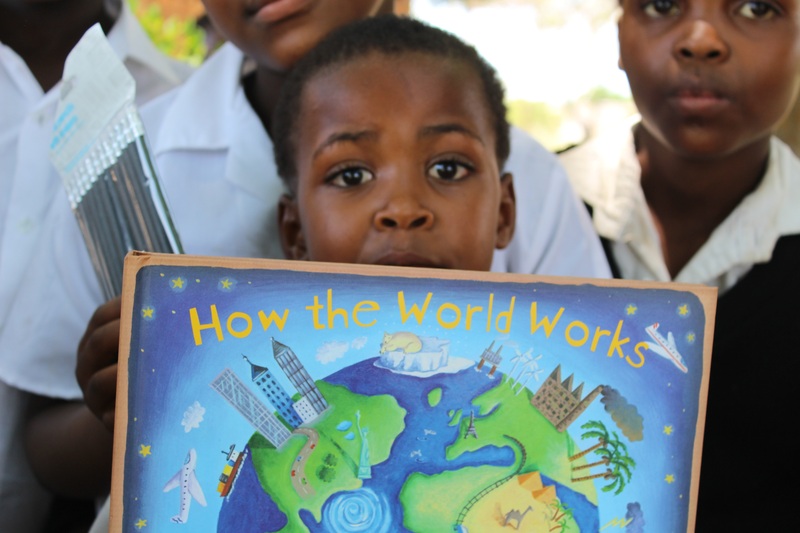 Cocktails and canapes will be served, followed by dinner and an illustrated talk given by WWST Trustee Sophie Neville, to raise money for the Waterberg Welfare Society’s projects combating HIV/AIDS in South Africa.